Yatao Li is an Associate Researcher at Microsoft Research Asia (Beijing, China). He joined Microsoft in September 2014 after receiving his MPhil degree from Hong Kong University of Science and Technology. He received his B.S. degree from University of Science and Technology of China in 2012. 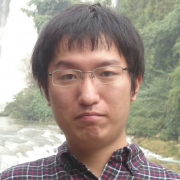 Currently Yatao Li is working on Trinity, an in-memory graph database. His research interests include in-memory databases, distributed systems and graph algorithms.